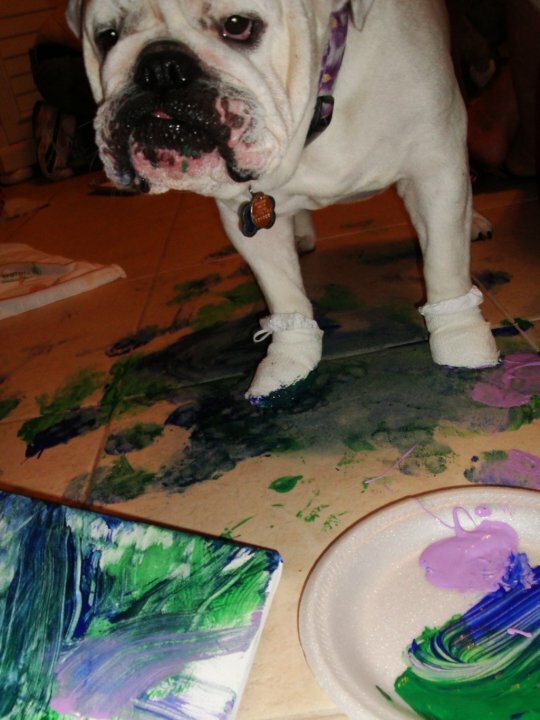 Champ learned to paint through Dog Scouts of America in 2010. 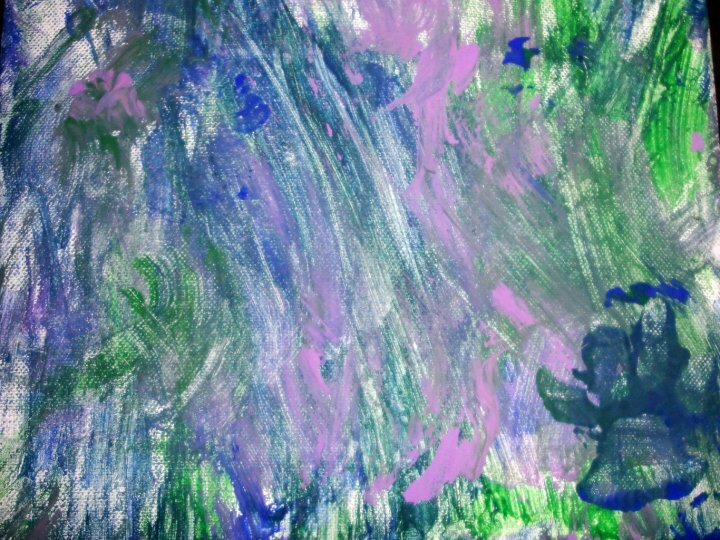 Proceeds from every painting he created went to help other bulldogs in need. 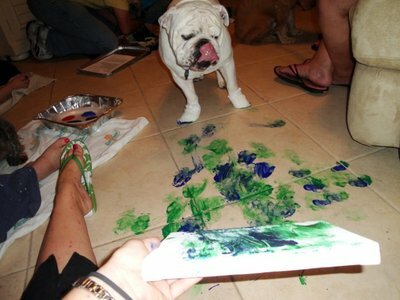 Learning to paint was a blast for Champ. 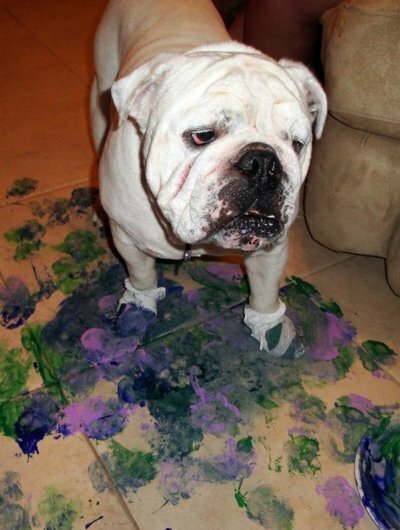 He got more paint on the floor and me, than on the canvas! 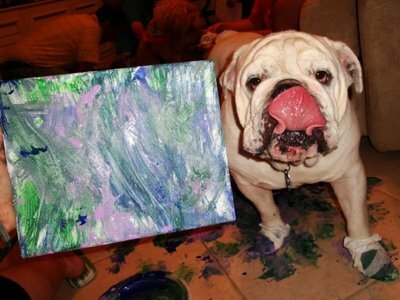 He was a true "Renaissance Man"